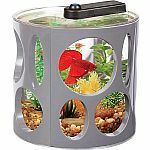 PetSmart has Top Fin Essentials Aquarium Starter Kit on Sale. Plus, Earn 2x Loyalty Points during President's Day Sale. Shipping is free or Free store pickup. Amazon / Target has 4-lbs Fresh Step Multi-Cat Clumping Cat Litter (Febreze Scent) for $12.23. Shipping is free or free in-store pickup at Target. When using with the HP Touchpad, is the Clumping effectiveness reduced? Petco Offers $20 Off Full-service Bath or Bath with Haircut (Dogs Only). Offer Expires 01/27/19. Petco Pals Rewards Member Required, Free to Join. How much is the regular haircut? less than 1 million //@Anonymous: How much is the regular haircut? Sound like you pay it by sperms. //@Anonymous: less than 1 million //@Anonymous: How much is the regular haircut? It depends on your dog breed and how old it is. Costs more for long hair and less for short hair. Typically, around $50 //@anonymous: How much is the regular haircut? What if I self identify as a dog? cage! You got No Fur! //@anonymous: What if I self identify as a dog? (For Prime Members!) Amazon has Dog Food and Treat Sample Box for $3.99. Shipping is free with Prime (30-Day Free Trial). Amazon is offering $5 off Amazon Pet Supplies for select Pet customers with code "HOLIDAYPET18". Amazon offers 33% off Nature's Miracle dog and cat odor and stain removers. Discount price as shown. Shipping is free with Prime (30-Day Free Trial). 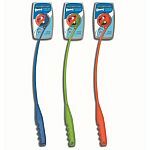 Amazon has Whistle 3 GPS Pet Tracker & Activity Monitor for $59.94 - $20 w/clip coupon = $39.94. Shipping is free. Amazon is offering members of Amazon Prime a 40% discount, up to $50, on the first order of their first Subscribe and Save dog or cat food subscription. Certain product exclusions apply; qualifying items will display the coupon offer. The promotion is limited to one unit and one coupon per household. This is good price. I usually buy from Chewy for the original 48.99. Also, great quality foods. Chewy was great untill petsmart pirchased it. Amazon has 4-Pack Tennis Balls for Dogs for $1.87. Shipping is free with Prime. PetSmart is Offering PetPerks Members $10 Off $10+ in-store Purchase w/ Printable Coupon. Offer valid until 05/28/18. Limited to 1 use per PetPerks Account. Offer valid until the date on the Printable Coupon? Thanks Dealsea. Time to take bath. Its been long time. Good for washing your kids too! PetSmart is Offering PetPerks Members $10 Off $10+ in-store Purchase w/ Printable Coupon. Offer valid until 02/28/18. Limited to 1 use per PetPerks Account. Good deal! I can buy 30 gold fish for dinner tonight. but you have to face the staff there with holes in their heads!!! //@Anonymous: Good deal! I can buy 30 gold fish for dinner tonight. hmm...you meant headhole? I thought the other way around. //@Anonymous: but you have to face the staff there with holes in their heads!!! //@Anonymous: Good deal! I can buy 30 gold fish for dinner tonight. Thanks, fixed :) //@anonymous: Back to the Future? They do not allow me to use the coupon in store. They told me the coupon was redeemed so it is invalid when I tried to use it in the store. Thanks, I updated information. //@anonymous: They told me the coupon was redeemed so it is invalid when I tried to use it in the store. Can we use it or not? I had no problem to use it along with my PetPerks card. great deal. used in store. Cashier told me the coupon has been used. How do I get a new coupon? Amazon.com $17.91 Shipping is free with Prime (30-Day Free Trial). Amazon has Go Pet Club 42-Inch High Cat Tree for $30.58 - $15 clip coupon = $15.58. Shipping is free with Prime (30-Day Free Trial). Where is the clip coupon? Jet is Offering 30% off Select Pet Products w/ Promo Code "LATESTLICKS30". $100 Max Discount. Shipping is free w/ $35. Petco offers $15 Gift Card with $50+ Purchase. Ends 9/26. Shipping is free. 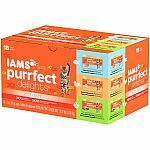 Amazon has Dog Food and Treats Sample Box + $12 Credit for future order food for $12. Shipping is free with Prime. Amazon has 20% clip coupon for select dog food. Shipping is free on $25+. (Price Mistake? back-order) Amazon has 50 REDBARN Beef Straps Treat For Dogs for $12.48. OOS currently but still orderable. Shipping is free with Prime (30-Day Free Trial). Amazon.com (add-on). Free shipping on $25+. Amazon has Wahl Natural Pet No-Rinse Waterless Shampoo Lavender, 7.10 fl oz for $2.99 - 5% (+ free shipping) with subscribe & Save = $2.84. Same price at Target (free shipping w/ Red card). Amazon has IRIS 3-Piece Airtight Pet Food Container Combo for $10.22. Shipping is free with Prime (30-Day Free Trial). The price is not correct for Amazon. Target offers $10 Off $40 on Pet Supplies and Food with code "PET". 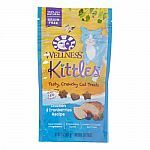 Extra 10% off on select pet supplies. Shipping is free or free in store pickup. 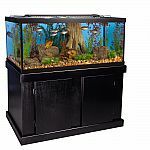 (Back) PetSmart has Marineland® 60 Gallon Heartland LED Aquarium with Stand for $175 - $20 in cart = $155,was $350. Free store pickup. yesterday. //@Anonymous: When was it $350? Perfect for my hermit crab. His name is Jim. Hello Jim. Grats you have a new home! //@Anonymous: Perfect for my hermit crab. His name is Jim. my daughter used to have two hermit crabs named biggie and smallie. they make great pets! what a luxurious new home. //@Anonymous: Perfect for my hermit crab. His name is Jim. i have followed the price of this tank for a while. it never has been above $160. Not a deal. I bought it and filled it - HELP _ It's leaking!!!!!!!!!!!!! 60 gallons everywhere!!!! HELP ServiceMaster to the rescue!! you are so funny I did laugh //@Anonymous: I bought it and filled it - HELP _ It's leaking!!!!!!!!!!!!! 60 gallons everywhere!!!! HELP ServiceMaster to the rescue!! 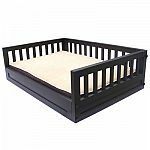 Wayfair has Habitat 'n Home My Buddy's Bunk Pet Bed for $39.31. 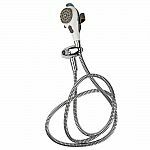 (Original Price $94.99) Free Shipping Over $49. 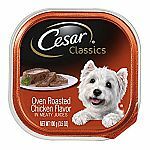 Amazon has CESAR Classics Adult Wet Dog Food for $11.70. (Original Price $19.99) Shipping is free with Amazon Prime. My dog is dry most of the time. Can he eat this? This is design to feed dog after bath //@Anonymous: My dog is dry most of the time. Can he eat this? Amazon has Unique Petz Self-Warming Comfort Pet Mat for $9.99. (Original Price $39.99) Shipping is free with Amazon Prime. 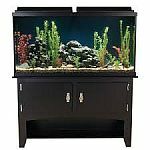 PetSmart has Marineland 75 Gallon Aquarium Majesty Ensemble for $169,was $500. Price reflected in cart w/ free store pickup. 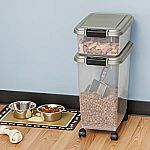 Amazon.com has IRIS 3-Piece Airtight Pet Food Container Combo for $12.79. Shipping is free with Prime (30-Day Free Trial). PetSmart has $10 off $40 $20 off $70 or $30 off $100 with code "SAVEBIGTODAY". Valid 9/5 only. is this for both online and physical store purchases? PetSmart is offering $20 off $100. Today only. Shipping is free. Petco has $15 Off Purchase + Free Shipping with code "rd15nmp3t" and "FREESHIP". How do they deliver living fish to your house? Gotta use different IP address, email address, mailing address, name, and credit card to use code multiple times. Not sure which one of these NEEDS to be different but I changed all of them to use twice. orders were cancelled even though the two orders were shipped to two very different addresses. Wow, that's not true at all. I agree with 4:25. They want fish more than ever. Now they are cool pets with attitude and adventure. And you can easily dispose of them in the toilet if you get tired of taking care of them. You can do that with guinea pigs too, but sometimes they clog the toilet. a business idea right there @ 4:59pm -- disposable pets. Wait... nobody just eats unwanted pets like I do? 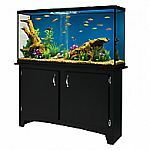 PetSmart has Marineland 75-Gallon Aquarium Majesty Ensemble for $299.99. Free in-store pickup. Fresh or salt-water? Which does this aquarium do best with? "Ideal for freshwater fish, saltwater fish, and reptile environments, and may be used with hang-on filters, internal filters, or canister filters." Placed order, now need a bigger house for it. Walmart / Amaz0n has API Aquaview 360 Aquarium Kit with LED Lighting and Internal Filter for $19.97. Free store pickup or free shipping w/ Prime (30-Day Free Trial). But apparently this is not from Amazon. It's from Amaz0n. Free shipping at $49 now?! Amazon is trying to get people to sign up for membership. $49 for free shipping is high compare to other competitors. Same price at Walmart and free pickup. Glad everyone is on the same page! leave the fish where they belong, their natural habitat! is this where fat netizens come to complain about their sense of entitlement? Good deal! Now I can finally shave my bush and find the hidden treasure. 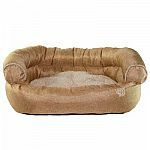 Home Depot Deal of the Day has select pet beds & toys for up to 67% off. Free in-store pickup. 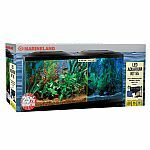 PetSmart has MARINELAND 60 Gallon Heartland Aquarium Ensemble for $174.99 or $157.49 for in-store pickup. Any thing I am missing? 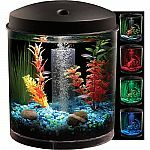 PetSmart has 55-Gallon Marineland BioWheel LED Aquarium Kit for $117.49 - $50 at checkout = $67.49 with free store pickup. Bate and switch. I do not see the 31 dollar offer. Groupon has $30 Credits for Pet Products at petco.com for $20. How to feed the fish? bought one from costco last year. the tank is ok, but the pump isn't stick on the surface. you can feed the fish through the opened hole on top. i would not suggest to buy. Walmart has Aqua Culture 1.5-Gal LED Fish Resort for $7.48. Free in-store pickup.